Unified Managed Accounts (‘UMAs’) are the result of an industry that originated with brokers opening commission-based accounts with no access to third party managers which then migrated to SMAs with relatively high minimums and only one strategy. UMAs were inspired by an industry seeking greater transparency, better information flow, and increased ease of use, all with lower administrative burdens, and are being adopted at an increasing rate. So how are these structures helping advisors run their business more efficiently? 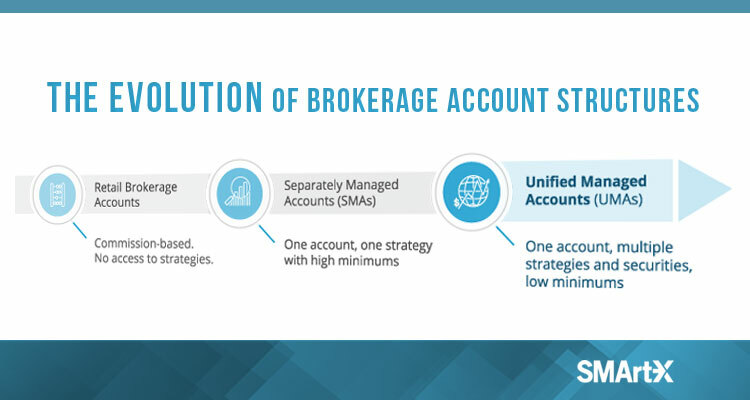 Unified Managed Accounts are the evolution of the brokerage account industry. Advisors are now able to reduce a significant portion of the administrative burden associated with managing client accounts while realizing the additional benefits of having client assets centralized in one location.